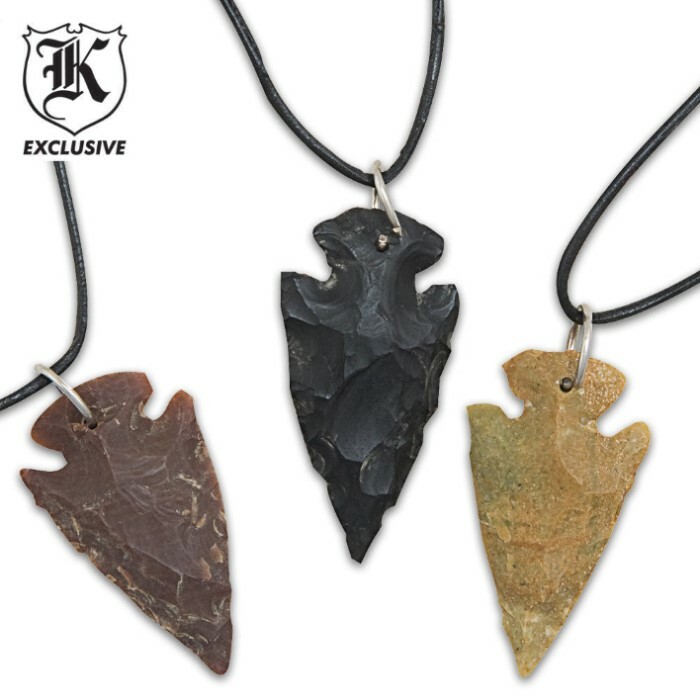 Handmade Arrowhead Necklaces 3-Pack | BUDK.com - Knives & Swords At The Lowest Prices! You know you'll have a prized, one-of-a-kind necklace each time you step out with one of these rustic arrowheads hanging from your neck. 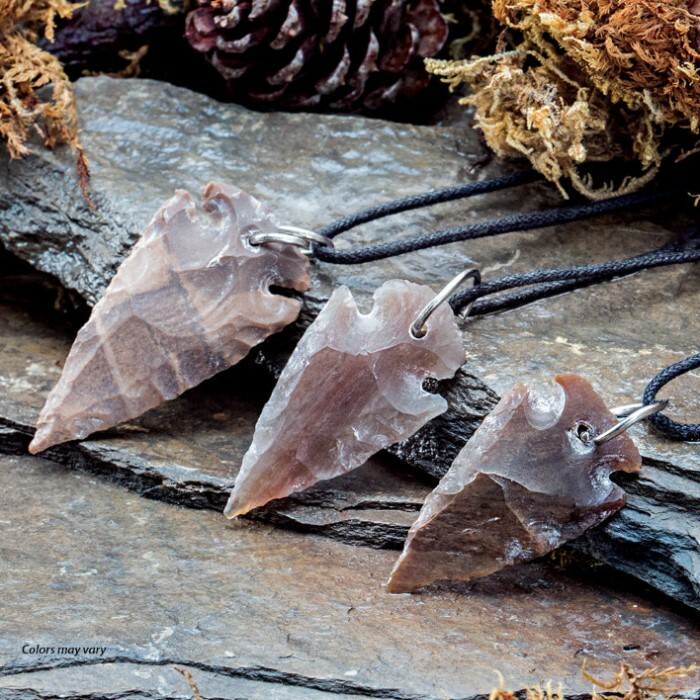 Each of these contemporary arrowhead pendants are handcrafted from agate and jasper. These are nice arrowhead necklaces. The only thing I found not good was some do not measure one and three quarter inches! More like one and one half inches. Otherwise they are well worth the money! With penny shipping today, they are $3.33 each . These are GREAT. As described & what a deal you get 3 very nice looking have had many complements on them.